A new segment I've decided to start on the blog because well, let's face it, we all freaking love Etsy.com! If you aren't familiar with Etsy.com, it's basically an online story where are people are able to sell their handmade items and people, in return, can find these uniquely made items that aren't sold anywhere else. Recently I've been going on a shopping spree and can't seem to stop ordering from the site. I wanted to share my favorite items and feature some really amazing stores! If you recall, I did a post about the best stores to buy handmade bookmarks. I ordered from LillyTalesShop on Etsy and my package finally came in the mail. Shipping does vary depending on the person that's sending the item and where you live. Each piece is handmade and made with a labor of love by these people that just want people to appreciate their art. A custom made bookmark that incorporates my favorite quote from my ALL TIME FAVORITE SERIES Throne of Glass by Sarah J. Maas. You guys know I can't seem to post anything without mentioning Throne of Glass and sorry if it's quite annoying. I first started out with kindly telling Kate (the shop owner) that I wanted something very symbolic of the series, Being the awesome person she is, she was able to come up with this mock-up for me. And I totally fell in love with it so she got into making the bookmark right away. I am 100% happy with the way the design turned out. I also got a touch and feel of the quality myself, and I thought it was just so amazing how she was able to create wooden bookmarks that were thin enough to fit in books. When I put my bookmark in my book, it didn't jut out weirdly or fall out numerous times. If you would like to purchase from Kate on her fabulous Etsy, CLICK HERE! Take a look at her tremendous catalog of designs and pick the one that suits you the most. If you'd like a custom design just order the custom design option and wait till she contacts you back! Hope you liked this post, and I hope I've encouraged you into purchasing one of these unique bookmarks for yourself. Is that made of wood? timberland femme pas cher Baozi Pu timberland femme pas cher Sanye la. Les petits pains à bas prix sont soufflage d'air chaud, une auto affirmer son haut. Cheap look hors, hey, ce gars-là, sa tête timberland homme pas cher vraiment brillant. Je te timberland femme pas cher avais dit, je ne vends pas. Chen vieil homme tout jeune, mais très un timberland femme pas cher homme de caractère, parler chaussure timberland pas cher retentissant, affirmant feux San Ye aider yo euh fort. Hi, Alex! I've noticed you post a lot of Etsy stuff. I haven't ordered from there in forever. The merchandise is amazing, but most of the stuff I've ordered from there has broken right when I received it, or wore out in a short period of time :(. So I don't order from there anymore. Have you had any problems? I've never had problems with Etsy. I think the only thing is that the shipping got lost at one instance and that's pretty much it. OMG You're so darling, thank you so much for doing my tag. It means so much <3 <3 <3 I'm going to take a look at your answers now. I have to admit I haven't dived into the Etsy universe yet, but it looks like a great place to buy bookish items :) I LOVE the Bookmark and picture you took with it. Aren't you just dying for Queen of Shadows? DYING?? More like already dead and I'll come back from heaven just to get the book in my hands. Goshh I need that book Lol. 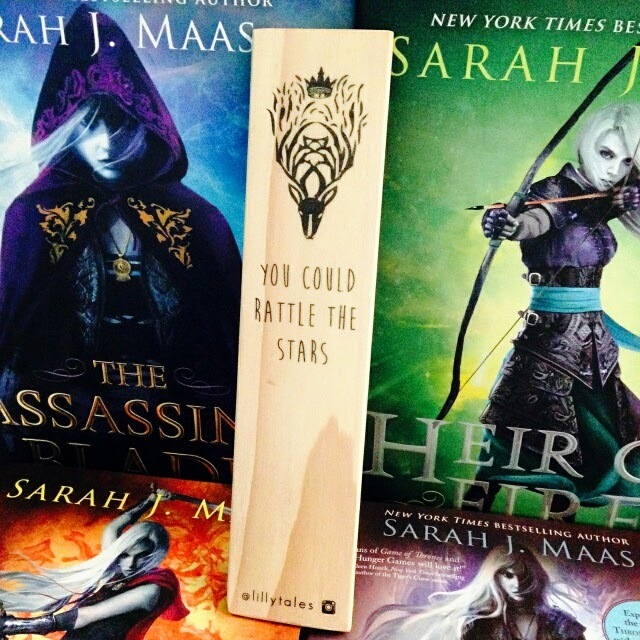 OH MY GOSH BEAUTIFUL BOOKMARK ALEX :D I wish I could buy from Etsy, but I don't really know how it works haha :P But you know, it's okay to mention Throne of Glass all the time! I completely understand! It's my favorite series too! :D I love bookmarks!! Thanks Jillian :D yeah it took me a while to understand the shipping rates and services from Etsy. Same here! I didn't really need a bookmark because trust me when I say this, I have tons of damn bookmarks lying around my room. But the thing is, It's just so unique and cool to have. Really represents how much we love the book series. LOL The Eye of Elena Necklace would be a hella cool thing though. I haven't seen any good ones that I like yet.